1.1 Have you installed VLC and you need videos to watch on your iPhone? Well, you would have to use iTunes to do this. This is how you do it. 1.1.1 Putting videos from your computer to your iPhone can be easily done using iTunes. Whether you’re using a Mac or a Windows PC, as long as you got iTunes installed, you’re good to go. Just follow these simple instructions when doing it. 1.2.1 Connect your iPhone to your computer. 1.2.2 Open iTunes. Make sure that you have the latest version. 1.2.3 Choose the videos that you want to add to your device from your iTunes library. 1.2.4 Look in the left sidebar for your device, then drag the content to your iPhone. 1.2.5 If you’re using an iPhone, you can add music or videos only from a single iTunes Library. 1.3.2 Connect your device to your computer. 1.3.3 Open iTunes. Make sure that you have the latest version. 1.3.4 Locate and click on your device. 1.3.5 In the left sidebar, click Summary. 1.3.6 Scroll to the Options section. 1.3.9 You might see a message that your device is synced with another library. This means that you’ve used a different computer to sync your device in the past, and iTunes can’t sync without first erasing and replacing all iTunes content on your device. 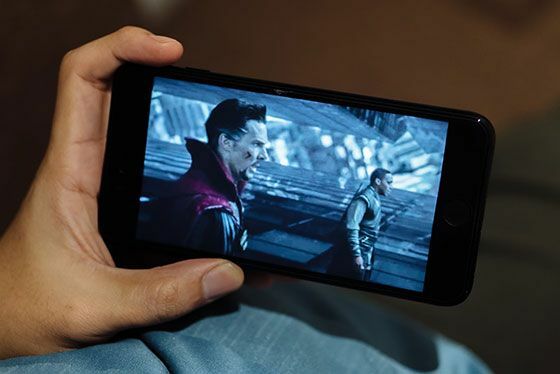 Have you installed VLC and you need videos to watch on your iPhone? Well, you would have to use iTunes to do this. This is how you do it. Putting videos from your computer to your iPhone can be easily done using iTunes. Whether you’re using a Mac or a Windows PC, as long as you got iTunes installed, you’re good to go. Just follow these simple instructions when doing it. Choose the videos that you want to add to your device from your iTunes library. Look in the left sidebar for your device, then drag the content to your iPhone. If you’re using an iPhone, you can add music or videos only from a single iTunes Library. You might see a message that your device is synced with another library. This means that you’ve used a different computer to sync your device in the past, and iTunes can’t sync without first erasing and replacing all iTunes content on your device.